Want all the basic benefits that come from an overlocker sewing machine without having to pay too much? Why not consider this Toyota SL3304? 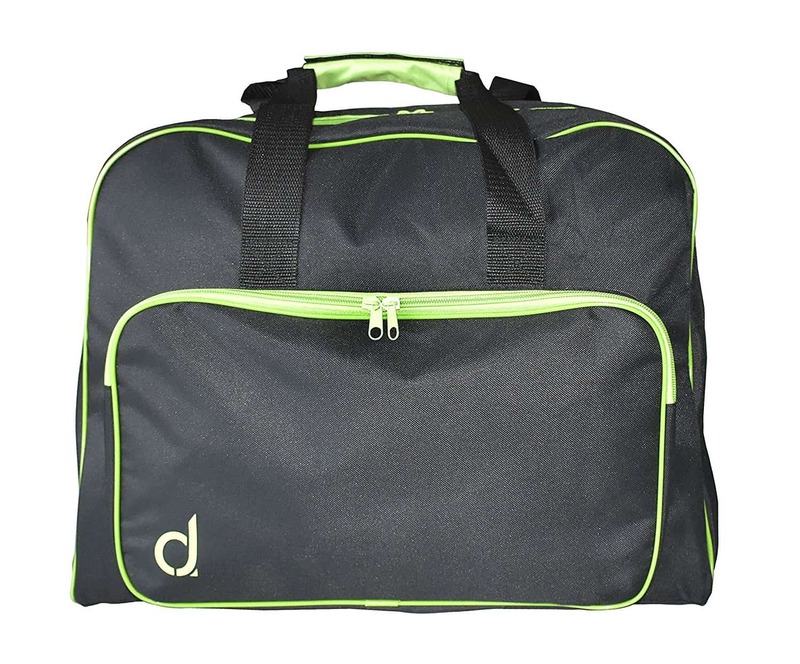 As well as being built by a highly reputable brand, this easy to use overlocker has an extremely lightweight and compact design. Whether you’re looking to use it for neatening up raw edges and seams, or to stitch up seams of garments that are too loose fitting or soft furnishings, the SL3304 overlocker will not let you down. We understand though that you need more than just our word, which is why in this review we are going to look at this machine in greater detail. By highlighting the good and the less good, you will be able to make a more informed and educated decision about whether the Toyota SL2204 overlocker is right for you. Like most of the other overlocker sewing machines we’ve featured on our site, the Toyota SL3304 comes equipped with a differential feed which is adjustable via a handy dial. This enables you to work with fabrics of various thicknesses. The addition of a special 2-step presser foot lifter makes it even easier. With this component you can also work safely with fabrics are more delicate than others without ruining them. Perhaps one of the most difficult things about using an overlocker, due to the amount of threads that are often incorporated at once, is the actual threading and setting up. 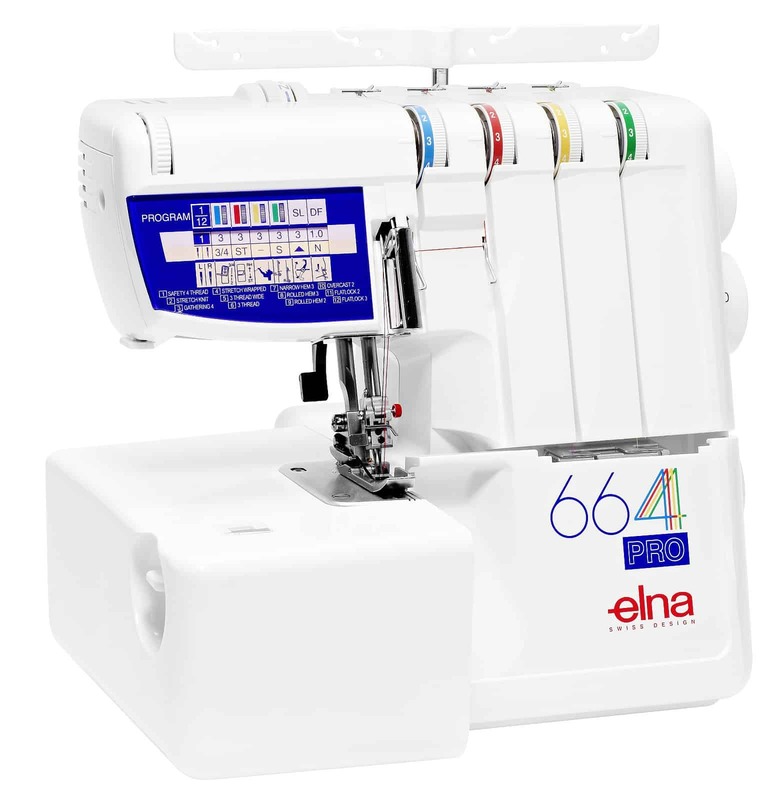 However, also similarly to other overlocker machines we’ve featured here, the Toyota SL3304 has an easy to follow colour coded system that makes it not only easy buy fast to set up your machine. That means you don’t have to spend as much time in the setup and have more time to get down to using your machine for those tasks and projects. A nice addition is the fact that the SL3304 comes pre-threaded with 4 cones of thread that are included in the price tag. So, you can pretty much get sewing and overlocking from the moment you take it out of the box. Although you don’t have the benefit of 2-thread stitching, you do have the option of both 3-thread and 4-thread stitching. As well as that, the width and length of the stitches you make are fully adjustable. This helps to give you full versatility and flexibility with regards to the type of projects and tasks you can complete. You can see some of the different stitches here. There are many overlocker tasks that require that you cut off fabric to finish off seams and hems. The Toyota SL3304 has a knife incorporated into its design, like many others, to make this easier and neater. However, there are some overlocker tasks you may be looking to complete that you don’t need to or don’t want to cut fabric at the same time. That’s why the retractable upper knife in this machine is desirable, as it gives you the option of one or the other. As we’ve noted earlier in our review, the Toyota SL3304 overlocker measures less than 40 x 39 x 29.4cm and weighs a very lightweight 7.9kg. The major downside that we could pick out about this overlocker was the fact that unlike many other models, you don’t have the option for 2-thread overlock stitching, just 3-thread and 4-thread stitching. Looking at the online reviews about the Toyota SL3304 overlocker machine, most customers who’ve purchased on are very happy with it. They especially like how easy it is to use. Other positive comments include the fact that it works quickly, but also quietly. In summary, this Toyota SL3304 overlocker is an affordable, lightweight option that is also very easy to use. If you don’t have much money to spend on a machine, you should give this some serious consideration.